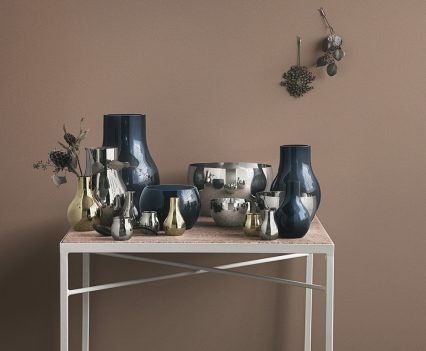 Long excluded from luxury home interiors in favour of stainless steel, and most recently copper accents GOLD is once again the new favourite in home décor … and these stunning gold homewares take it to a new level for the luxury home owner, more than gold in colouring these gorgeous accent pieces ARE GOLD! 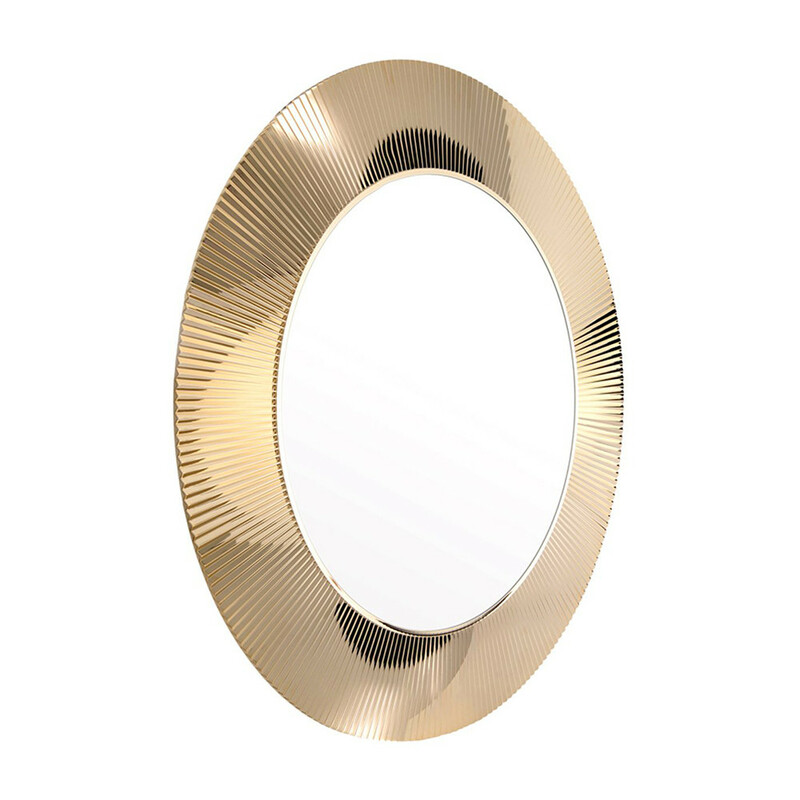 Add timeless style to your living space with this striking All Saints mirror from Kartell. 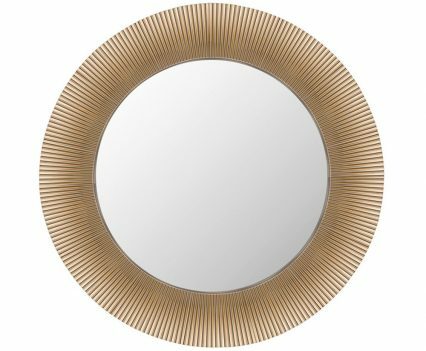 Designed by Ludovica & Roberto Palomba, this mirror features a pleated design that beautifully refracts light and has been influenced by Baroque style. 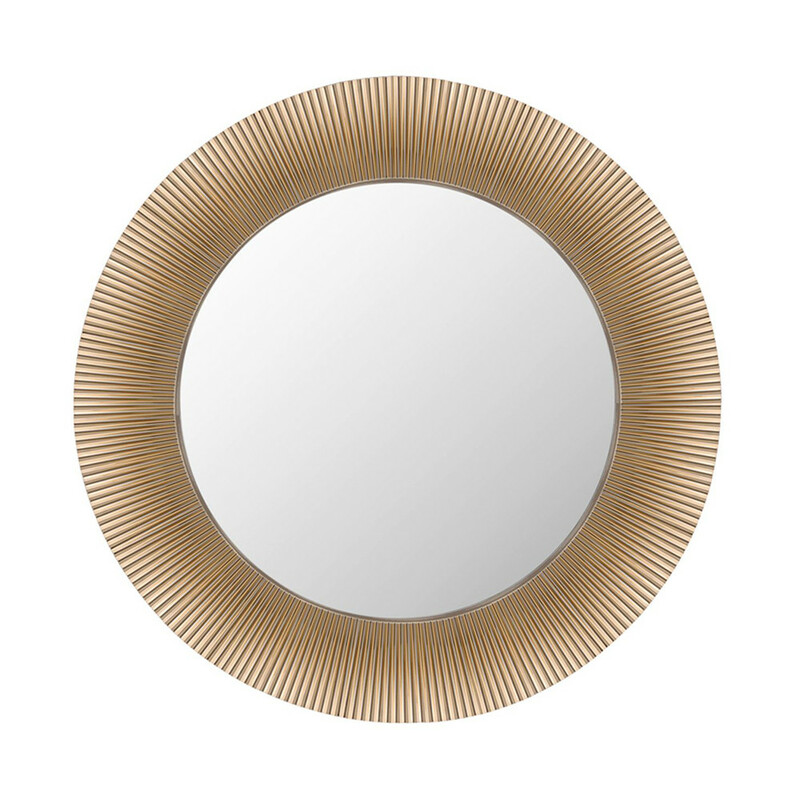 A great addition to any room the All Saints mirror is a very versatile home accessory. Bring a touch of golden glamour to your space with this stunning box, prettily hand-decorated with Swarovski® crystals. 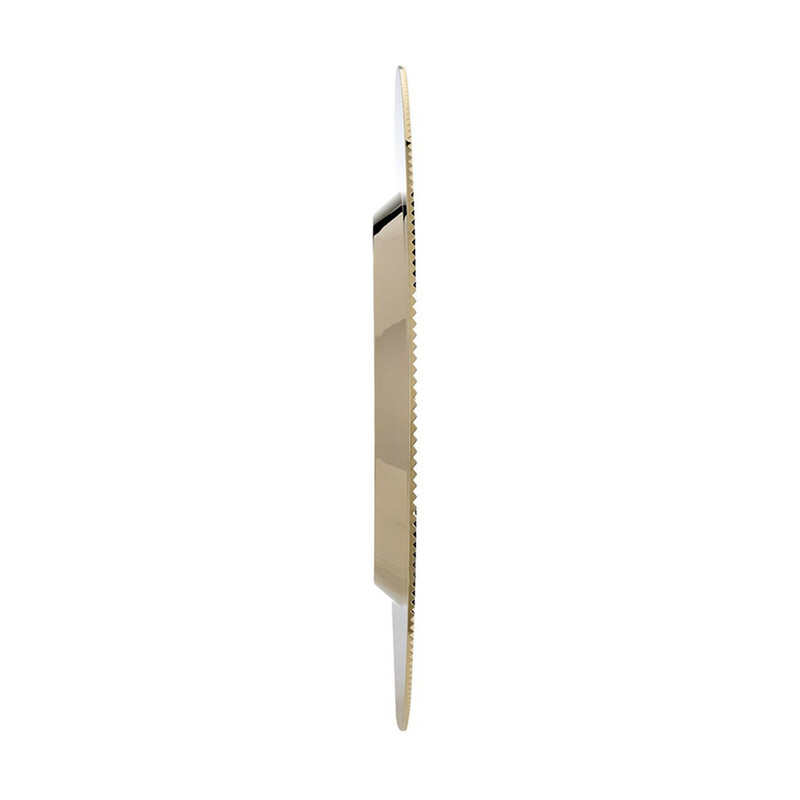 The solid brass box is opulently crafted with 24-carat gold plating and hand-finished with Swarovski® crystals. Working a clean-cut rectangular body and a matching linear handle, the design’s angular silhouette exudes a contemporary air. 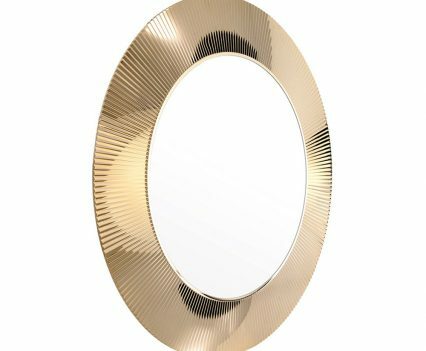 Whether your bathroom, dressing room or bedroom is lacking a little sparkle, this piece makes a dazzling addition to any space as well as beautiful gift idea. 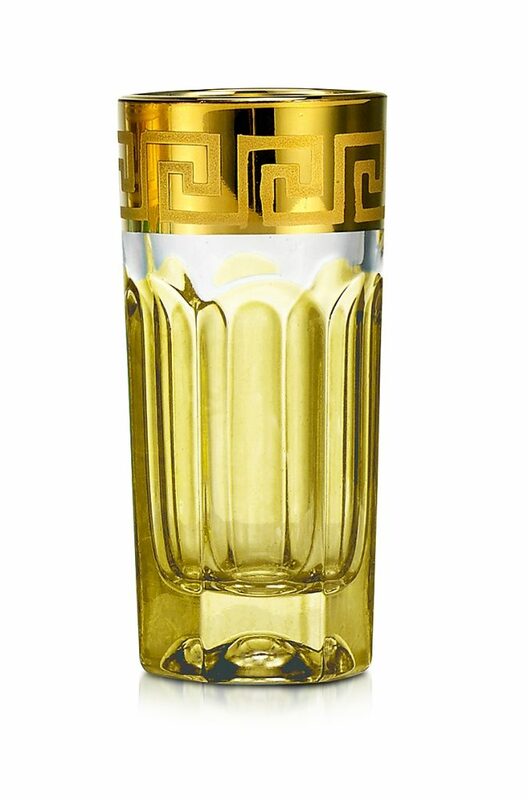 This unique soap dispenser is wonderfully crafted from solid brass and plated with 24-carat gold to make it a perfect fit for luxury bathrooms. 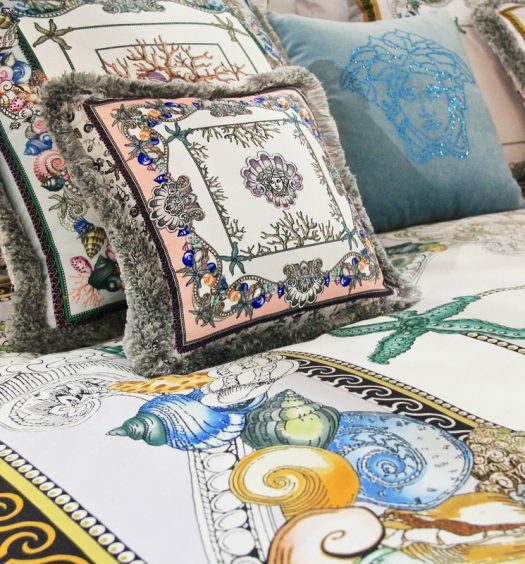 A generous spread of hand-placed Swarovski® crystals gives the design an exquisite shimmer. 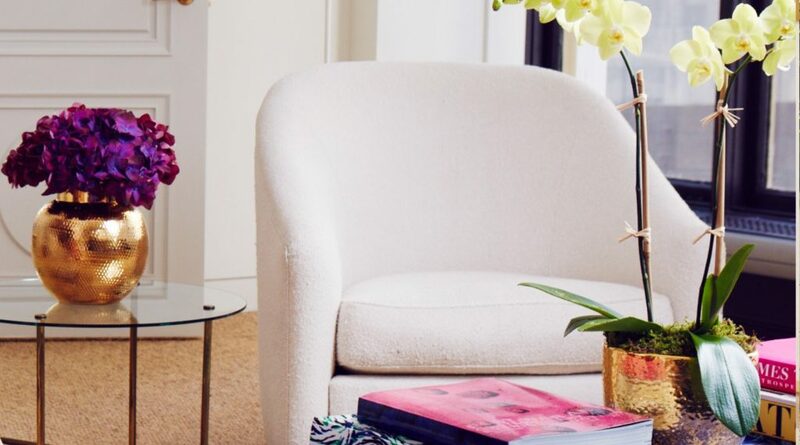 Place in a well-lit space to show off its sparkle to the utmost potential. Equipped with a pump dispenser, the design is equally user-friendly as it is luxurious. 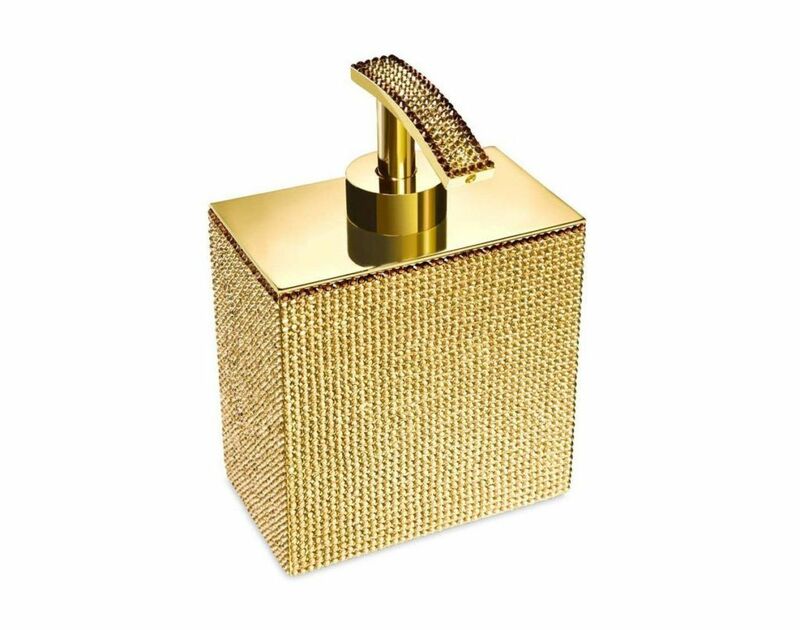 With its golden hue and hand-placed Swarovski® crystals, this luxury soap dispenser is bound to bring enviable shine and shimmer to your bathroom. 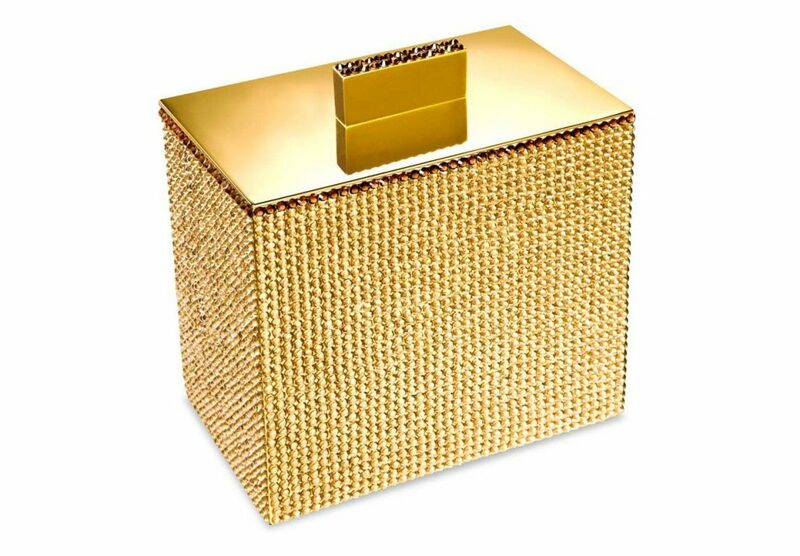 Instil a luxurious mood at home with this gold-plated tissue box, prettily hand-encrusted with Swarovski® crystals. 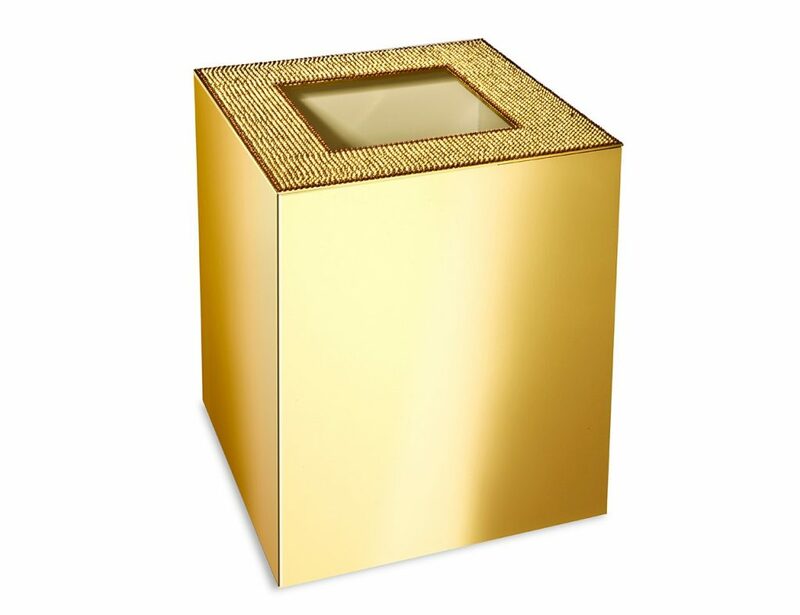 A solid brass structure and 24-carat gold plating gives this boutique tissue box a long lifespan and exquisite sheen, while neatly hand-placed Swarovski® crystals give it a distinctly opulent attitude. 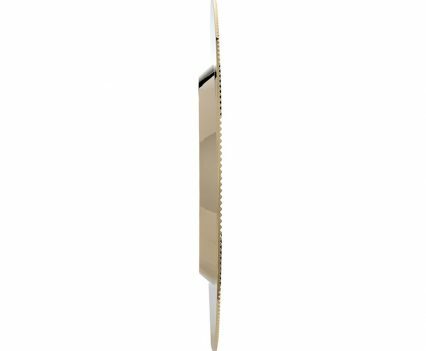 Working a contemporary, angular silhouette, its body is made up of sleek flat surfaces and features a clean-cut square opening to dispense tissues. At 12x14x15 centimeters, the design is perfect for housing standard square tissue boxes. 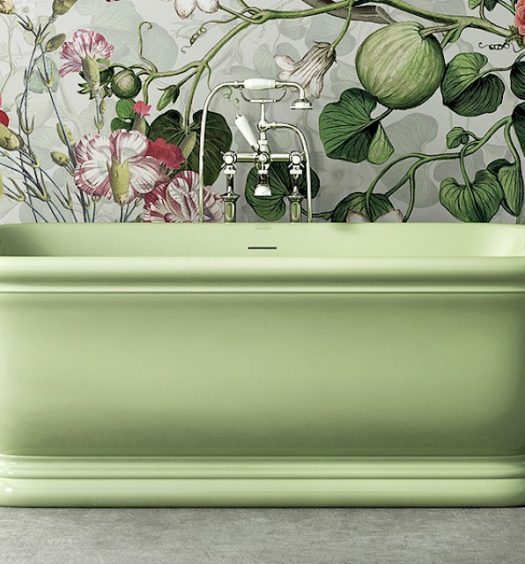 Use it to complete a beautiful tabletop display in your bathroom, dressing room or bedroom. 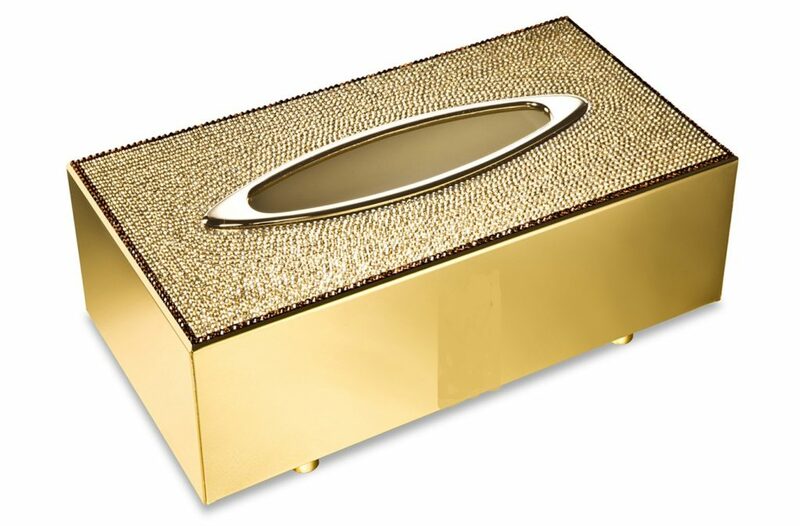 This luxury brass tissue box is given a Midas touch thanks to its 24-karat gold plating, while neatly placed Swarovski® crystals add opulence into in the mix. Working a contemporary, angular silhouette, its body displays a linear profile and sleek surfaces. An elegant oval opening enables tissues to be dispensed easily. At 24.5x13x7.5 centimetres, the design is perfectly proportioned to house standard rectangular tissue boxes. 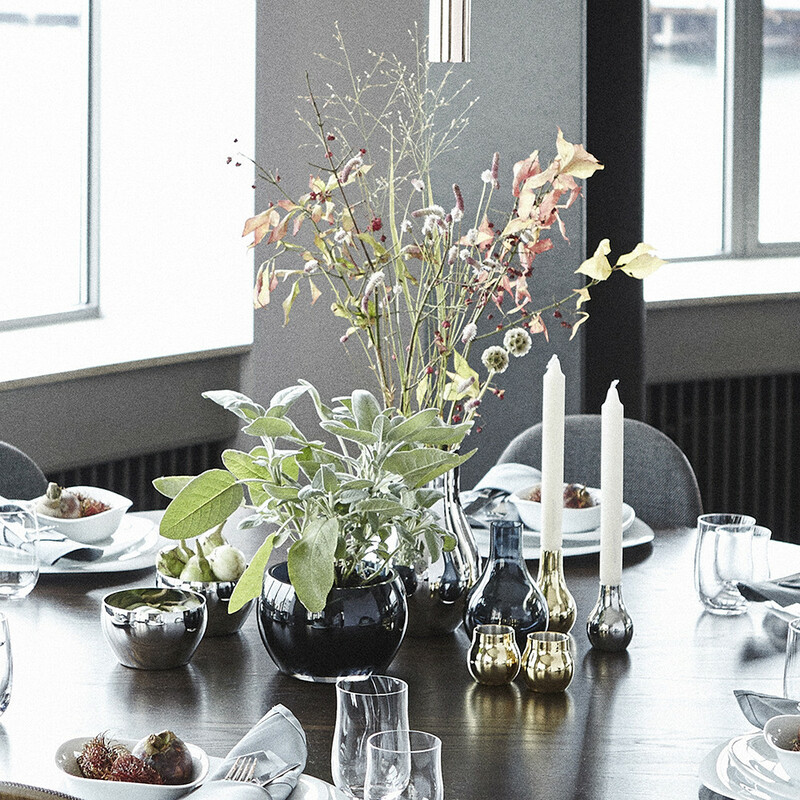 Team it with matching metallic accessories for a truly magical tabletop presentation. With gold-plating and hand-placed Swarovski® crystals, this decorative tissue box secures an extraordinary style status. 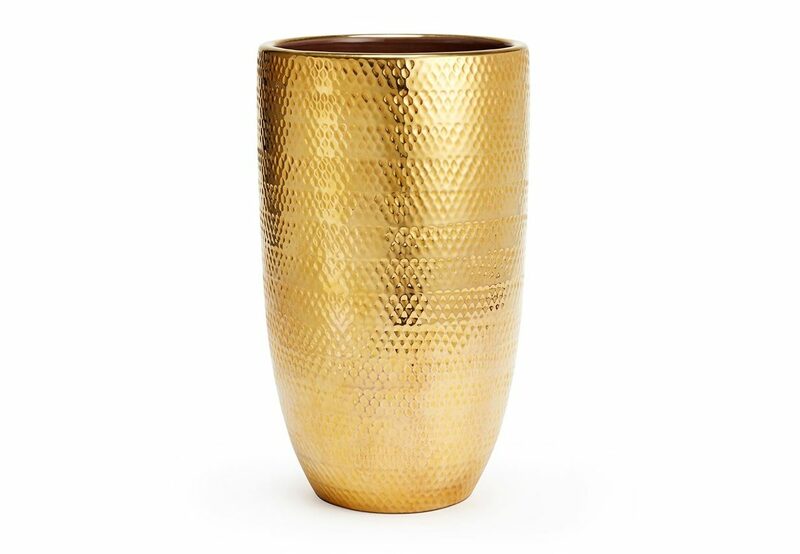 Give your tabletop an 18 carat midas touch with the textured gold vase, finished with a chocolate glazed inner. 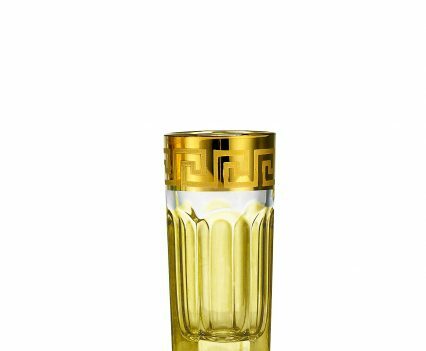 The textured gold ceramic vase – handmade in Italy – projects luxury at first glance with its 18-carat gold-dipped exterior. Its interior doesn’t hold back on good looks either as it’s glazed with a wonderful chocolate brown hue. A hammered finish brings a textural dimension to the design. 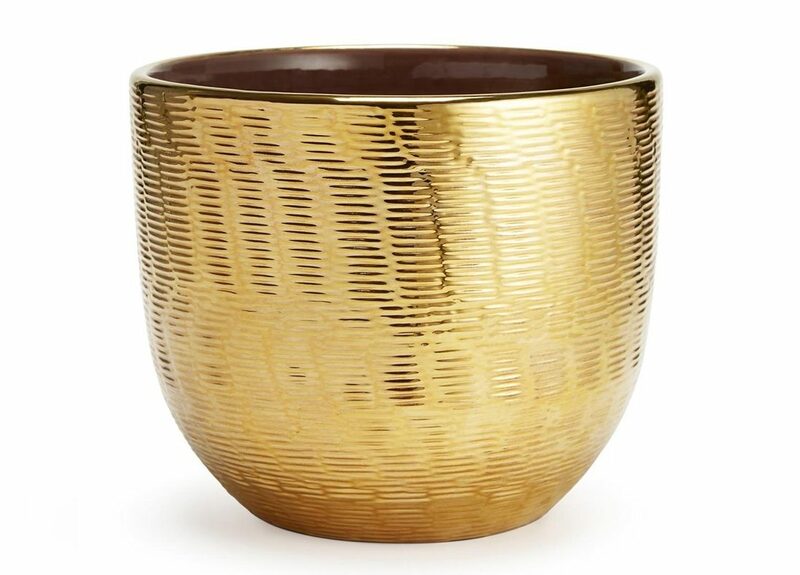 Let it work as a solo accessory on your tabletop or team with coordinating gold pieces. 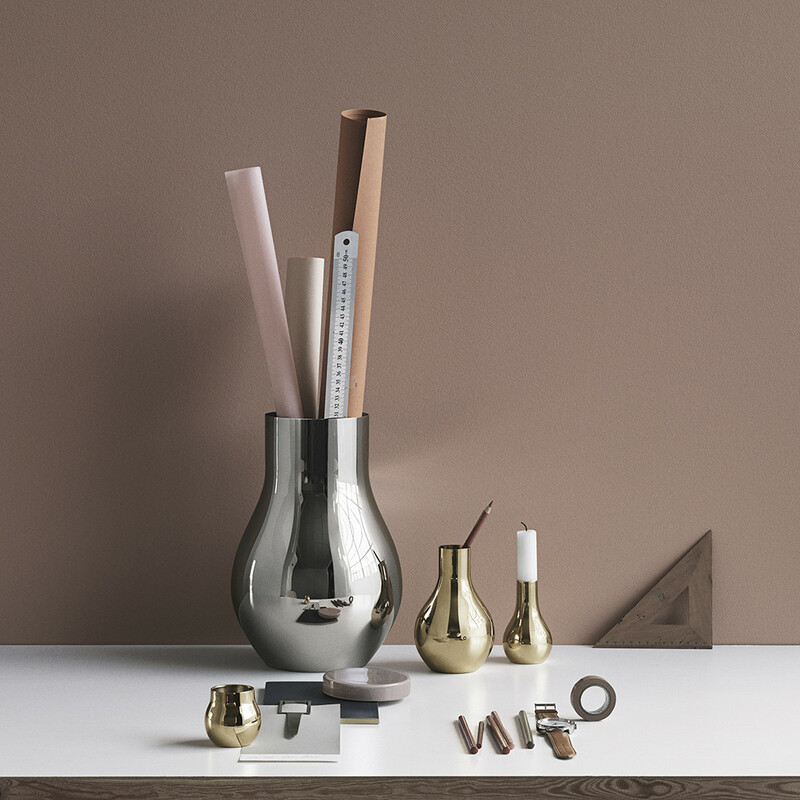 This exquisite cachepot is handmade in Italy. 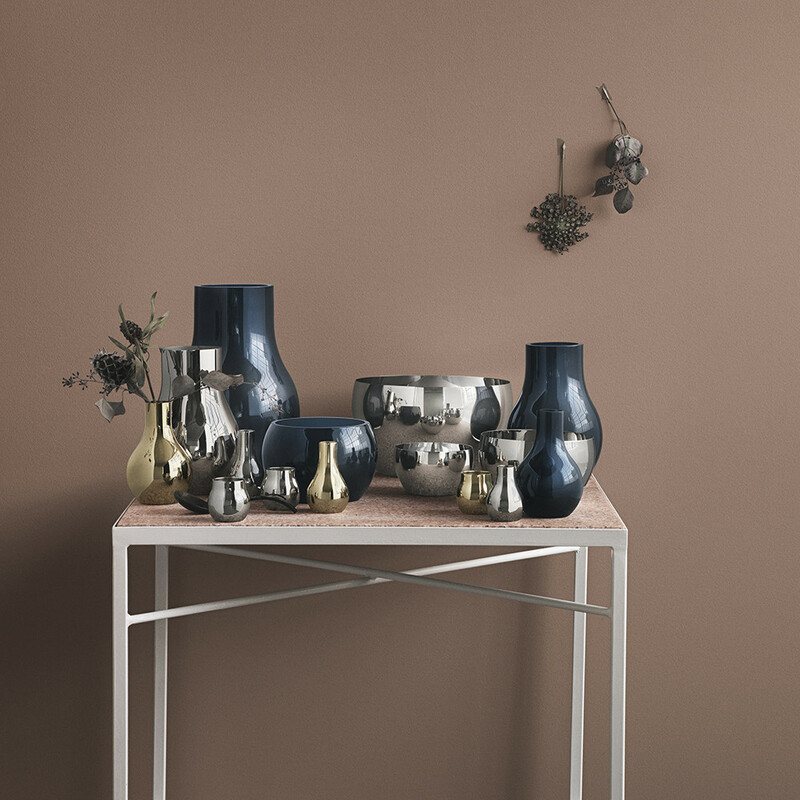 Expert artisans sculpt the piece into an attractive rounded silhouette using quality ceramic. 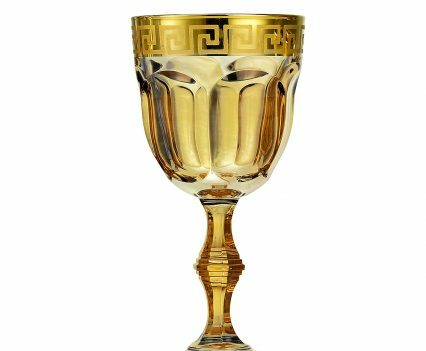 The design is luxuriously dipped in 18-carat gold to create a metallic exterior while its interior works a beautiful chocolate brown glaze. 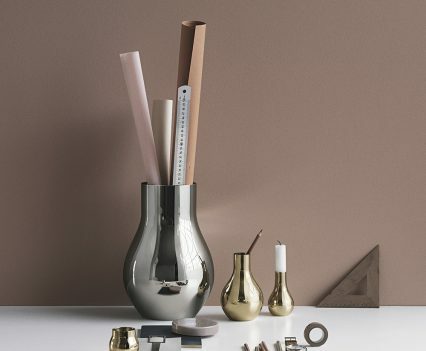 Its textured surface adds depth and detail to the piece, making it impressive enough to be used alone as a decorative object as well as a vase for flowers. 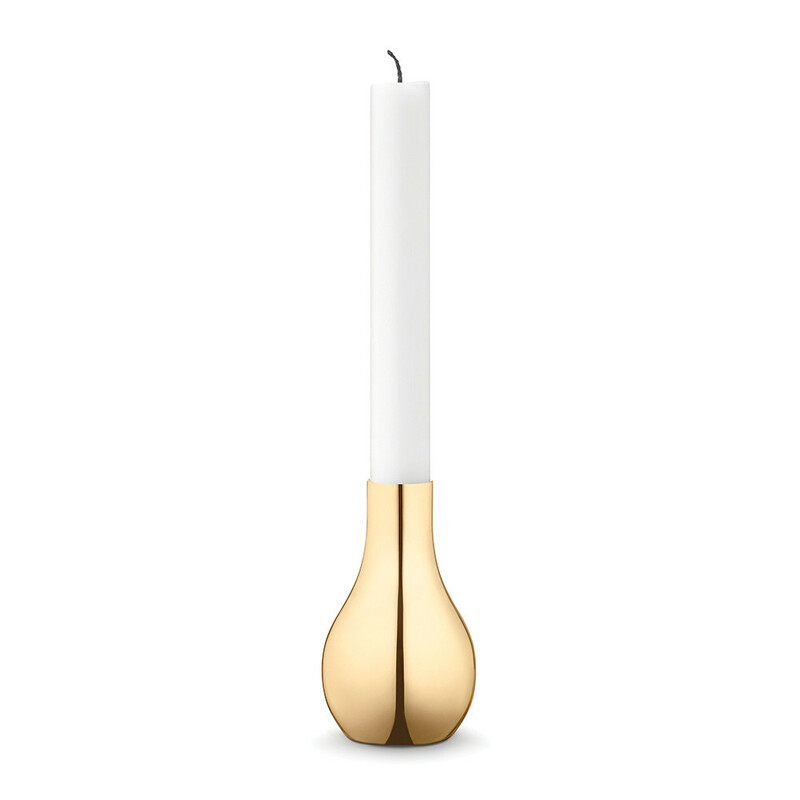 Add decadent yet simplistic design to the home with this Cafu candle holder from Georg Jensen. Made from 24ct gold plating, this candle holder has a mirror polish finish and a subtly curved shape. 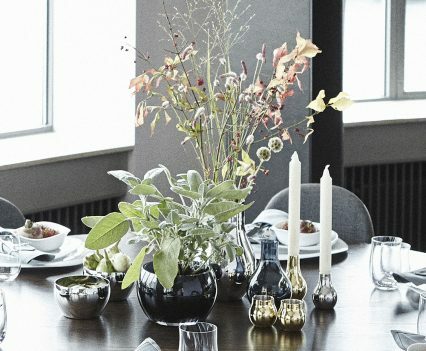 Exquisitely understated, it has been designed by Sebastian Holmbäck & Ulrik Nordentoft to celebrate the design legacy that Georg Jensen has left behind and there are many more items available in the Cafu collection. 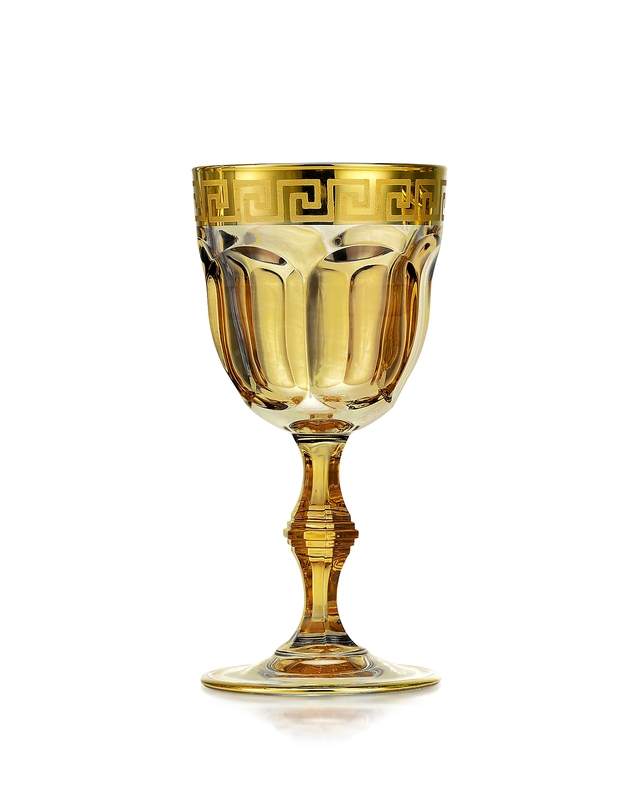 Bring elegance to your dining table with this Alchemie Gold dinner plate from L’Objet. 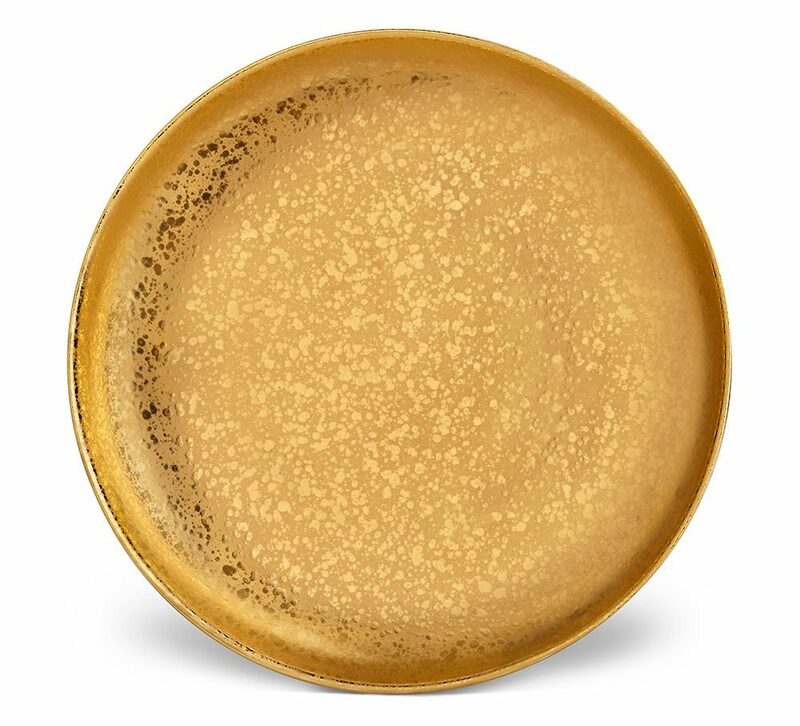 Inspired by the timeless style of textures, light and colour of Venice, a reactive 24ct gold finish makes this plate a stunning addition to any home and will loved by all your guests. Please note, due to the gold used this dish is not microwave safe. Rinse with hot water after use to avoid stains and put in dishwasher on a gentle air-dry cycle. 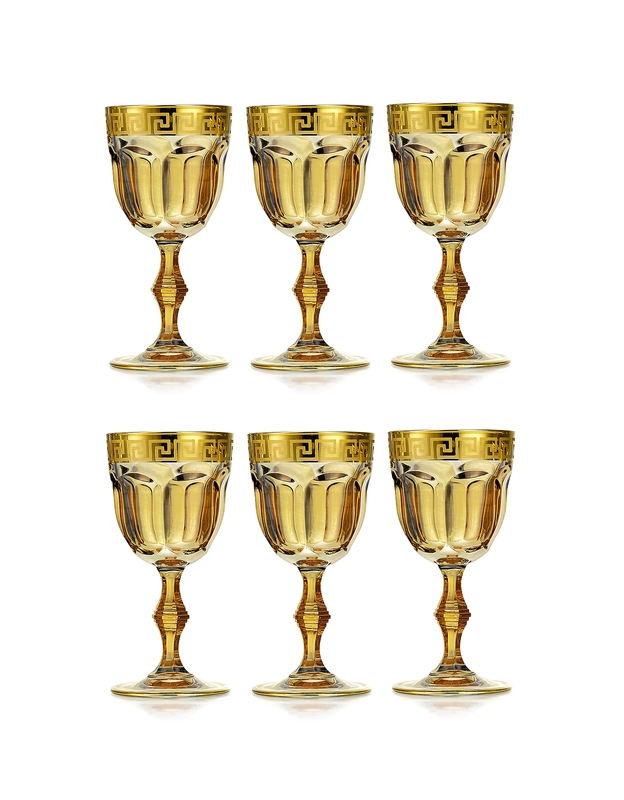 Zecchin Set of 6 Water Glasses create a beautiful silhouette with exquisite brilliance and clarity for your dinner service. 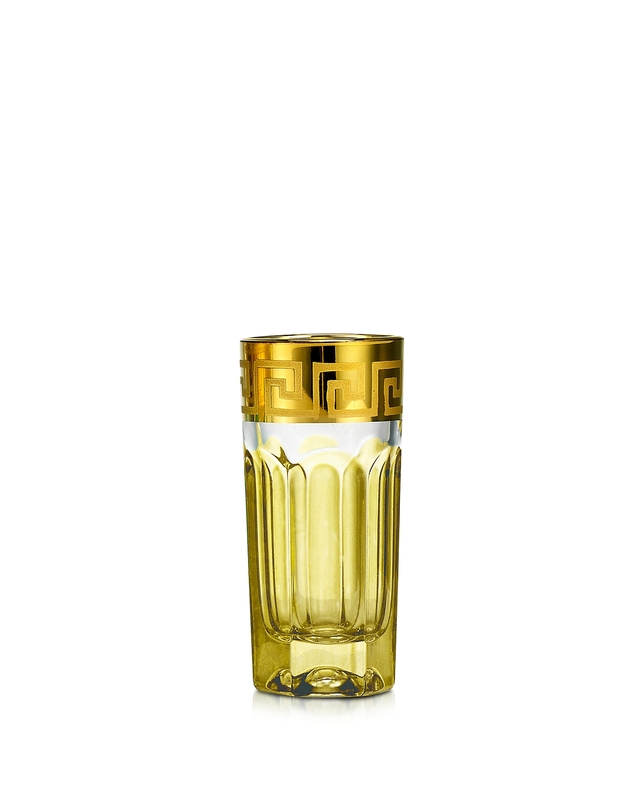 Crafted in beautiful Italian lead-free gradient colored crystal with a 24 karat gold band on the rim. 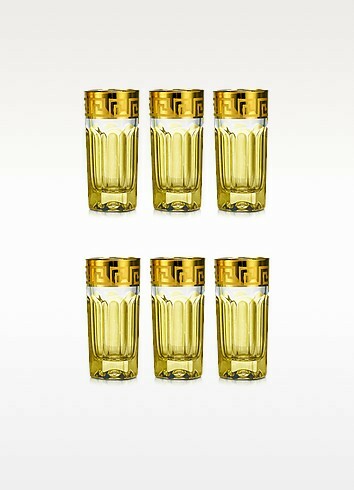 It is recommended that the glasses in this collection be washed by hand only with a mild detergent. 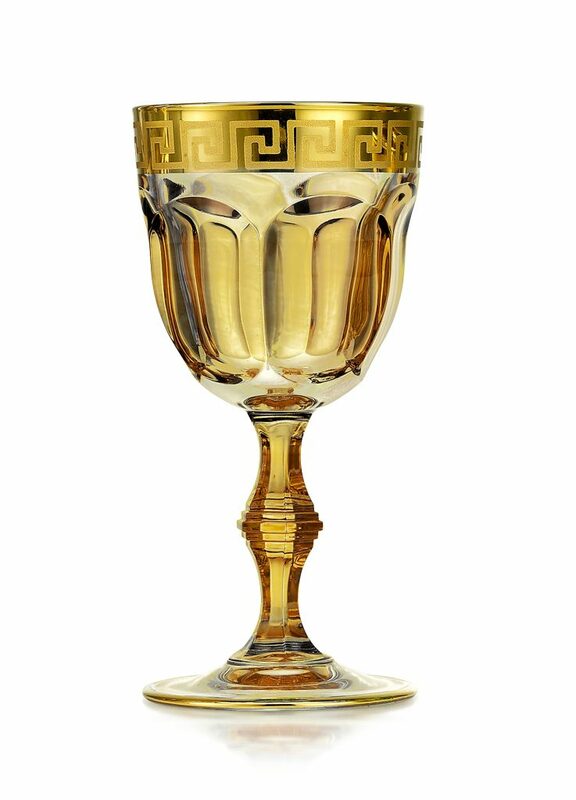 28 cl/9.75 oz. Made in Italy. 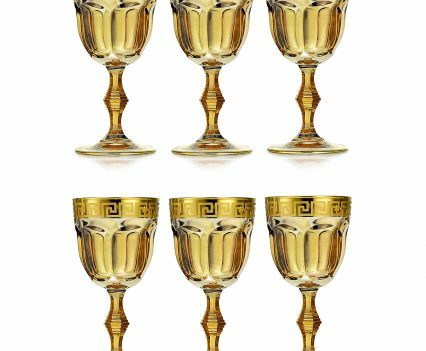 Zecchin Set of 6 Water Goblets create a beautiful silhouette with exquisite brilliance and clarity for your dinner service. 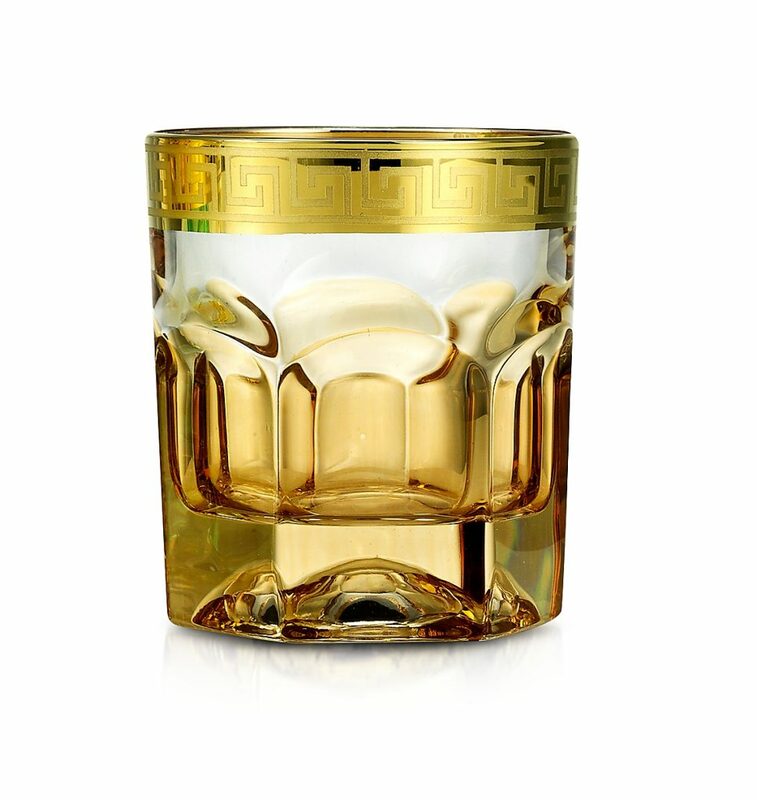 Crafted in beautiful Italian lead-free gradient colored crystal with a 24 karat gold band on the rim. It is recommended that the glasses in this collection be washed by hand only with a mild detergent. 23 cl/8.25 oz. Made in Italy. 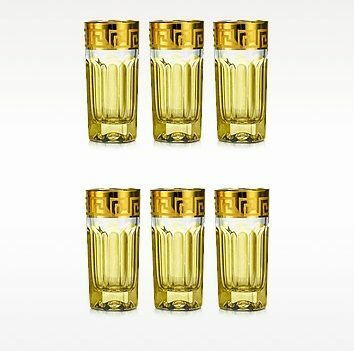 Zecchin Set of 6 Shot Glasses are perfect for trendy shot cocktails and traditional after-dinner liqueurs- Crafted in beautiful Italian lead-free gradient colored crystal with a 24 karat gold band on the rim. It is recommended that the glasses in this collection be washed by hand only with a mild detergent. 5 cl/.75 oz. Made in Italy.